Are You Depressed, Or Are You Walking The Spiritual Path (Without Even Knowing It)? 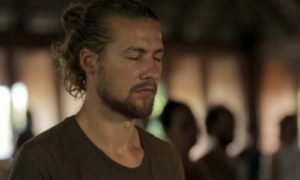 https://hridaya-yoga.com/wp-content/uploads/are-you-depressed-or-walking-on-the-spiritual-path-hridaya-yoga.jpg 270 760 ad https://hridaya-yoga.com/wp-content/uploads/Logo-Hridaya-Yoga.png ad2016-03-16 21:09:482018-12-16 03:26:48Are You Depressed, Or Are You Walking The Spiritual Path (Without Even Knowing It)? Are You Spiritual or Just Full of Yourself? https://hridaya-yoga.com/wp-content/uploads/hridaya-blog-are-you-spiritual.jpg 270 760 ad https://hridaya-yoga.com/wp-content/uploads/Logo-Hridaya-Yoga.png ad2016-02-25 21:12:112018-08-30 02:56:14Are You Spiritual or Just Full of Yourself?